The UK’s disruptive mobile operator, 3 UK, has unveiled plans to bring a mobile hotspot device to the country later this month. 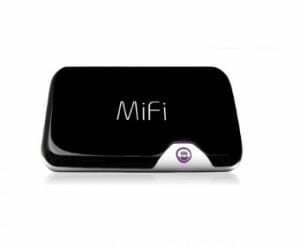 The Mobile wifi device, known as ‘MiFi’, is not the same MiFi unit that is manufactured by US firm Novatel Wireless as telecoms.com originally reported. 3’s ‘MiFi’, which we shall now refer to as Mobile Wifi, is a branded Huawei E5830 wireless modem that does a very similar job to the Novatel device. The unit is a pocket sized box that runs off batteries or mains and can connect a handful of wifi powered devices with a cellular backhaul connection (HSPA in this case) – a sort of 3G dongle on steroids. From September 18, Mobile Wifi will be available from 3 on two plans: Broadband 5GB is a one month rolling contract which includes 5GB of data for £15 a month, with an outlay of £69.99 for the device; and a Ready to Go option which prices the device at £99.99 and includes 3GB worth of data which can be used over a three month period, afterwards topped up on a prepay basis. Telecoms.com has been playing with one of the Novatel MiFi devices for a couple of weeks and is impressed by the concept. It’s more user friendly than a dongle because there’s no software to install as everything is accessed via a web interface. But the main benefit is that you can move the unit to an optimum coverage position – by the window, say, and leave your laptop or other wifi capable devices on the desk or a more comfortable location. With a couple of hours battery life, it’s also got potential as an emergency hotspot, when you need to get a handful of users online. 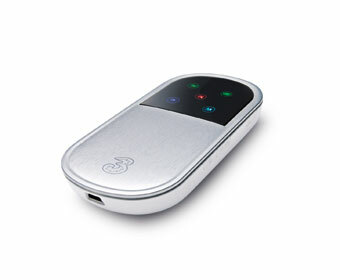 Interesting device – however, JoikuSpot.com already does this using current 3G phones. What’s the range of this device from a wireless enabled laptop and how many devices e.g. laptops can connect simultaneously?